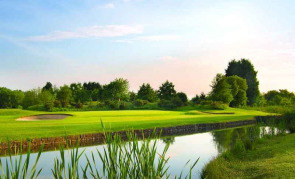 Waregrain Group have announced that the annual golf day will take place at the fantastic Players Club on Wednesday 12th June. This will be the 6th event and it goes from strength to strength every year with the number of attendees increasing. In previous years, we held a ‘nearest the pin’ competition which last year generated £750 for Duchess of Kent Hospice. We are really keen to support a worthy cause again and would like to raise funds in aid of our chosen charity-The Duchess of Kent Hospice in Reading. 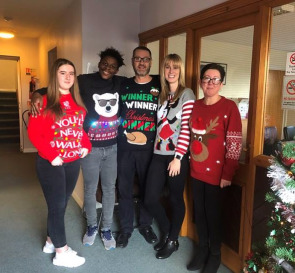 Waregrain Group held a Christmas jumper day on Thursday 13th December to raise funds in aid of the Sue Ryder Duchess of Kent Hospice. It was great to see so many participants across the company having a little bit of fun for a very worthy cause! Even Managing Director- Marc Oslar was a 'willing participant'. For a selection of photos, please visit our facebook or Instagram page. We would like to inform our customers and supply partners that we will be closing on Friday 21st December and will be reopening on Wednesday 2nd January for the Christmas break and also for a well earned staff battery recharge. 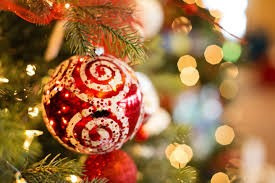 Merry Christmas from all of us at the Waregrain Group! 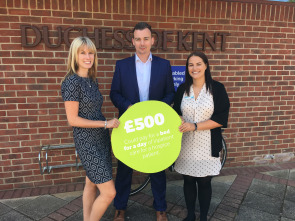 We would like to thank Fern Hayes (Community Fundraising Manager) from Sue Ryder Duchess of Kent Hospice for taking the time out to meet us during our visit today and accept the £750 Waregrain raised during our recent golf event. Sue Ryder Care do some incredible work supporting people with life limiting conditions and their families within the Berkshire community. We decided to raise money for this very worthy cause after speaking with our Reading Head Office team who felt this was a cause close to their hearts. The Duchess of Kent Hospice were supportive and caring to Waregrain’s Laura Sheppard and her family when her father Trevor was sadly diagnosed with illness, a lovely man missed by his friends and family. 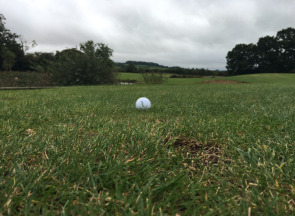 We would also like to thank our golf participants who kindly donated £10 to enter the nearest the pin competition and support us in raising funds. Waregrain Group held this year’s golf event on Wednesday 6th June at the wonderful Players Club in Chipping Sodbury. The weather was truly on side with the sun shining brightly, ensuring the course was in perfect condition as golfers of all abilities participated in yet another successful event! The individual trophy was contested right until the very end with a countback required to split Mark Andrews (Axalta) playing off 12 and Phil Ashpole (Autozone) playing off 24 who were both tied on 44 points with Mark just taking the winners trophy. Nigel Garrett (Upol) playing off 14 took third place with 39 points. The team event was won by Team Rosso on 93 points with a team consisting of Nigel Garrett, Jason Morse (both Upol) Kevin Lloyd and Lee Patman (both BASF). Second place was Team Inferno on 91 points with a team consisting of Martin McCarthy, John Bowler (both Days Motor Group), Andy Green and Lee Woodward (both PPG) and finishing in third place was Team Andes on 88 points with a team consisting of Alex Green, Noel Jennings, Richard Howick and Frank Delaney (All Akzo Nobel). The longest drive competition was won by Steve Digby (Perfect Paint) and the nearest the pin competition was won by Jason Morse (Upol). The nearest the pin competition had an entry fee donation in aid of the Duchess of Kent Hospice in Reading which also included entry into a prize draw with this being won by Mark Boret (Fleetline). With the kind donations from participants, £750 was raised in aid of the Duchess of Kent Hospice which is a very worthy cause. Waregrain Group would like to thank all of our partners who support the day and make it possible: ACIS, Akzo Nobel, Axalta, BASF, Farecla Products, Indasa Abrasives, Lechler Coatings, NIBS Group, Novol, Mirka, PPG and UPOL. We would also like to thank all of the staff at The Players Club who always support us fantastically during the event.